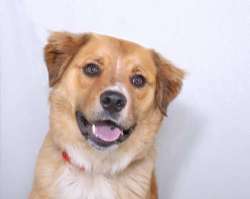 Agnes is a 1 year old spayed Corgi mix and weighs approx 30lbs. She's very sweet and full of playful energy. She's great with other dogs, cats and kids. Agnes and Delores are sisters and enjoy running around and playing together. If you are interested in meeting Agnes please fill out our online adoption application to help expedite the process. 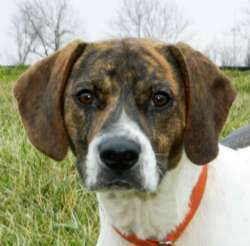 Beollan is 1-2 year old neutered pointer mix and weighs approx 35-40 lbs. Beollan is an active and happy dog. He is very social, friendly, and loves attention. Beollan will be available to meet starting 3/8/16. If you are interested in meeting Beollan please fill out our online adoption application to help expedite the process. Blackie is a five lb long-haired Chihuahua who is looking for a wonderful home. He's going to need a work from home or part time worker so he doesn't have to be crated all day. Due to his size no young children. He is available to be seen on 3/12/16 during our Meet and Greet hours from 12-3 PM at our shelter. Brody is a calm, quiet and attentive young dog with a pretty laid back personality, he likes to be with people, would be a lap dog if allowed. Enjoys being with other dogs, going for walks, playing and sitting back watching everything that is going on around him. He is house and crate trained, rides fine in a car loves people of all ages. He enjoys toys and chew sticks, treats are a must. He will be a really nice family companion to everyone in the household. Brody will be available to meet starting 3/8/16. If you are interested in meeting Brody please fill out our online adoption application to help expedite the process. Buddy is a 1 year old neutered Australian Shepherd mix. He is a unique looking and handsome young dog who can’t wait to join your family! He was recently surrendered to us by his family because they were expecting a new baby and knew that he needed a home where he could get more time and attention. Buddy would love to find a new family who can give him all of the attention, love, and exercise he needs to stay happy and healthy. Please give him a chance! If you are interested in meeting Buddy please fill out our online adoption application. 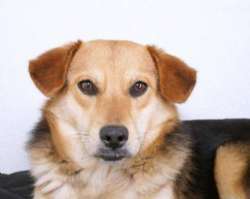 Delores is a 1 year old spayed Corgi mix and weighs approx 35lbs. She's very sweet and full of playful energy. She's great with other dogs, cats and kids. Delores and Agnes are sisters and enjoy running around and playing together. If you are interested in meeting Delores please fill out our online adoption application to help expedite the process. Fiona is an adorable, sweet little puppy. She wants nothing more than to follow you around and fall asleep in your arms (we haven't the heart to tell her she won't be lap dog size for long!) She adores children and other dogs, anything that will play with her! Please be an at home person or part time worker as puppies need lots of attention and consistency. We're not entirely sure of the breed, whatever she is, she's incredibly cute!! Come meet this sweetheart, we are quite sure you'll fall in love! Fletcher is a new arrival who is as cute as a button. 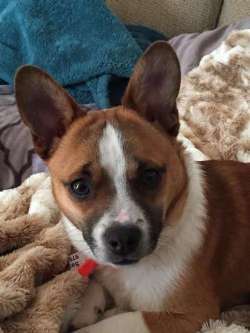 He is a neutered male 12 month old Corgi mix. He weighs 14 pounds. He is fine with other dogs and with all over handling. He is a happy energetic pup! Puppy adopters need to be home during the day so the pup can be properly socialized and trained. A fenced in yard is required for adopters with children under 10 years old. 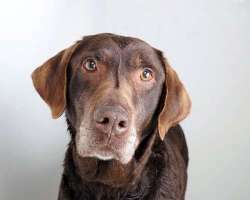 Gabby is an 6 year old spayed female Chocolate Lab who suddenly found herself homeless. She recently came to us from a shelter in Kentucky where there was little to no chance of her finding a new home. 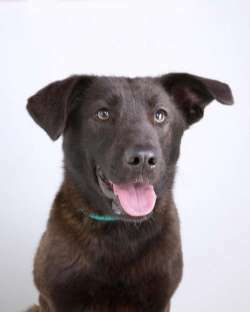 She is a sweet girl who, like most labs, has lots of happy, playful energy! She would do best in household without other dogs. She LOVES the water and the beach! Come meet her! Update, good news, Georgie's mass may only be a reaction to the inside sutures from her spay! and the vet tech that helped her has fallen in love and she is now spoken for!! They will monitor her monthly with ultrasounds. Her vet bills are over $770 so please help us raise the funds to cover her expenses. Her story: Georgie is a very sweet Pug who was relinquished to a shelter in KY along with her pal, Maggie the Great Pyrenees. They were told that she was 3 years old, but we all suspected older because of her gray muzzle. Our vet examined her after the quarantine period at our shelter and thought she felt a mass near her bladder. We just had her tested for bladder stones and although the urinalysis seems normal there was a shadow on the X-ray. She is scheduled for an ultrasound on 3/22 so we should know more by the afternoon. We suspect a mammory tumor as the vet paperwork indicated she had one removed in the past. Given her condition we're estimating she is around 7 years old. The vet thinks she has minimal sight in her right eye. 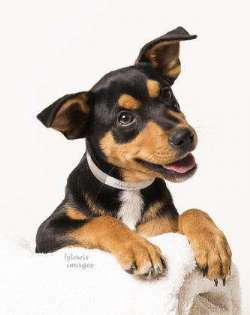 Georgie is a sweet and loving dog who will just crawl in your lap and cuddle. We are asking for donations to help cover her vet work-up. Thank you so much for helping us with this miracle dog! 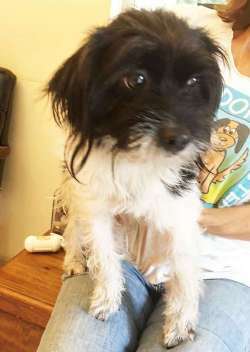 Gucci is a young, adorable Shih Tzu mix who lost her home when her owner was moving. She is happy, friendly and fun. She will be spayed prior to adoption. She is available starting Saturday, 3/12/16. 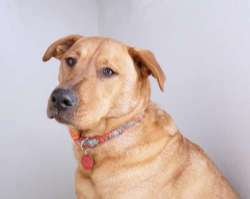 Gussie is a 3 year old spayed female Lab mix whose owner passed away. She is house trained and lived with a man who took her to work as a truck driver everyday. She is well behaved and not destructive. She has never been in a kennel before so she is a bit nervous. She would do best in a quiet home. Visiting kids are fine, but a lot of children at the same time makes her nervous. She is available now. She came to us from a local relative of the deceased man. 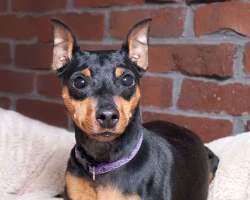 Harley is a petite Manchester Terrier (Mini Dobie) mix who needs a great home. He is so loving and affectionate and desperate for his people. He is a joyful pup who likes his people around them. He weighs 15 lbs now so could double in size. He loves to play and enjoys chewing on a bully stick or playing with a toy. He loves to explore the garden and there's no digging that we've seen. He's just a delightful pup who is submissive with larger pups. He has a full tail and floppy ears. He is already neutered. Come meet him on 3/15/16. 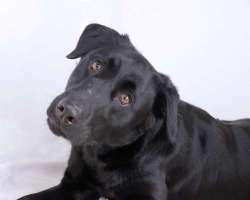 Jenny is a beautiful one year old female Retriever mix who ended up in a high volume shelter in KY. She is very sweet and friendly and gets along well with other dogs. She is playful and fun, a typical teenage goof! She had kennel cough last week, but her energy's back and we're showing her on Sat 3/12/16. On the side of caution, we aren't letting her meet other dogs but she is fine to meet you and your household. Come meet this love bug! 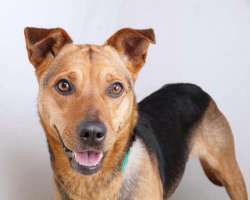 Kelsey is 2 year old spayed Lab/Shepherd mix who came up from KY. She is a beautiful girl with the most piercing and soulful brown eyes you'll ever see. Kelsey is good with other dogs and a bit shy at first but warms up quickly and loves to play. She will roll on her back and even play with toys on her own too, she is a character. German Shepherd Dog breed experience would be great. She came up with her friend is Kaley, shown with her. Due to her size and playfulness, older kids are best. Please give her a chance! 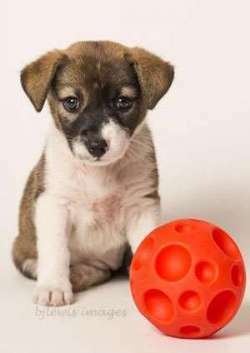 Apply to adopt at saveadog.org and watch our home page for Meet and Greet hours. 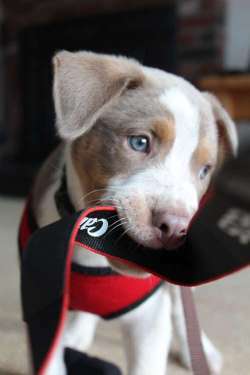 Kylie is a 3-4 month old Mini-Aussie mix who is from St. Croix. Her brother, JR, arrived and was adopted a few weeks ago. She's quiet in her kennel and plays quietly with her toys. Puppy adopters need to be home during the day so the pup can be properly socialized and trained. A fenced in yard is required for adopters with children under 10 years old. Leviya's real name is OLIVIA, but her friends just call her Leviya! This sweet girl came to us from a family who loved her very much but knew that theirs was not the best home for her. Leviya is HOUSEBROKEN, good with children, and she loves going for nice long walks on a leash. She has a few years on her, so she isn't going to require the kind of training that a puppy would. She absolutely loves meeting new people and will be your best friend in exchange for a belly rub! She is looking for a great new indoor home where she can just soak up all of the love that her family can give! She will be at the Meet and Greet 3/26/16. Rosebud and Lilac are also about 3 months. They are both spayed. They weigh about 8 lbs. Such cute little heart faces! 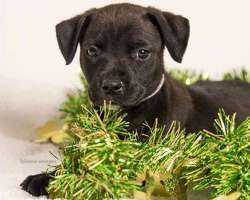 We require a stay-at-home or work-from-home situation for puppies, and for families with children 10 and under we require a physically fenced in back yard. No invisible fence allowed for puppies under a year. She is available from 2-3 PM on 3/26/16. 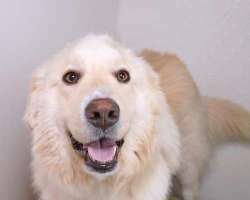 Maggie is a gorgeous fluffy 2 year old Great Pyrenees mix. She is such a sweetheart, she is friendly and calm and we think she'd make the perfect addition to any family! She has not met anyone she does not like, good with dogs and is housebroken too. Come meet this beautiful girl at our Meet and Greets this week. Paul is an 11 lb bundle of fun. Once he looks at you with his baby blue eyes, you will be smitten. He loves toys and exploring the garden. In the brief time that we have been fostering him, he slept in his crate at night, only waking once and quickly self-soothing and settling right back down. The next morning he stayed quiet until I had taken my other dogs outside. Once he was outside, he quickly did his business before wanting a cuddle and play. He squeaks loudly to alert you to the fact that he needs something. He will be available on 3/15/16. Pearl is a 3 year old spayed mini aussie mix weighing approx 18 lbs. 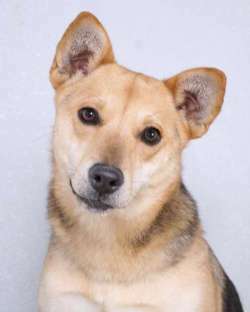 She is very sweet and playful loves to go for rides in the car, walks but also enjoys being a lap dog. She is a very happy girl. She does great with other dogs, kids and cats and is also housebroken. Pearl will be available to meet starting 3/8/16. If you are interested in meeting Pearl please fill out our online adoption application to help expedite the process. 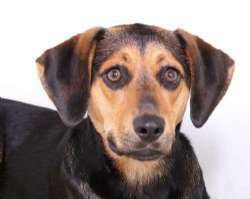 Piper is a young Lab/shep/hound mix who needs a great home. She is a spayed female, 10 months, 44 lbs, good with other dogs, curious about cats but doesn't seem aggressive. She did fine with all over handling during the temperament test. She loves her belly rubs. Piper video: https://youtube/V5ThrhIwwPE . She will be available 3/29/16. Rolo is a six lb. 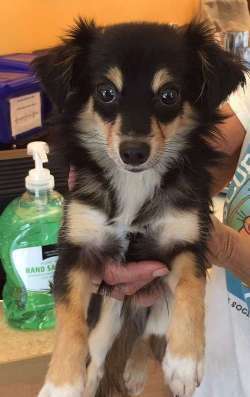 neutered male pocket-sized dog who needs a loving adopter. 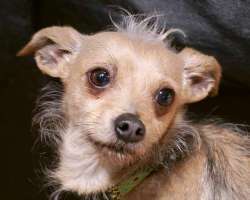 He is two years old and is a Chi/Chinese Crested mix. He was surrendered by a family in rural Louisiana. He is very sweet and came in with his brother Hershey. 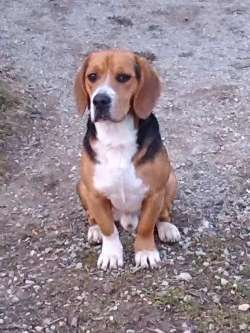 He is an easy dog used to a quieter home. A bit shy at first but warms up quickly and loves people. Due to their size older children are better for him. 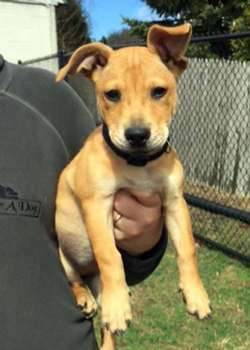 If you are interested in Rolo please apply at www.saveadog.org, they will be at our Meet and Greet Saturday. Sam will not be at our Saturday meet & greet on 3/19.Sam is an adorable 1 1/2 year old male Labrador Retriever mix who is very sweet. He's a lady's man, both with dogs and humans, so would be best in an all female household. He loves teens and will fetch a ball and bring it back. Sam loves to play with toys. His foster family says, "Sam is a sweet, well-behaved pup who is devoted and loyal to his caregivers. He will carry his toys to wherever you are and entertain himself while waiting for you to be free to play. He loves to run (he’s so fast!) and to fetch a ball. He is both crate trained and house trained, and he is quick to learn new tricks." Sam likes to play with other dogs but would rather not live with a cat. While Sam is nervous at first in new situations and with new people, he will warm up pretty quickly. 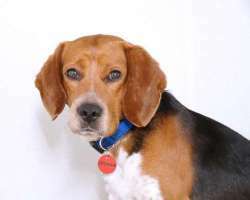 Seymour is a cute beagle mix who is coming up from Kentucky to find his forever home. He is a great dog, well-behaved and friendly. He gets along well with other dogs. Come meet this cutie! 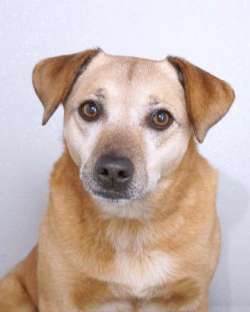 Sill is one of the sweetest and friendliest dogs and we know that she will make a GREAT companion for any home! She is a bit shy at first but warms up fast and then she is playful, affectionate and fun! She was surrendered to a shelter in KY by her owners who loved her very much but knew that she needed a home where she could get more attention and play time. 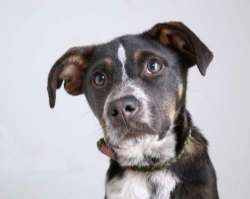 Sill is VERY smart and already knows how to sit, lay down, and dance on command! She is almost housebroken with only occasional accidents and seems to get along well with other dogs! Please consider making her a part of your family! 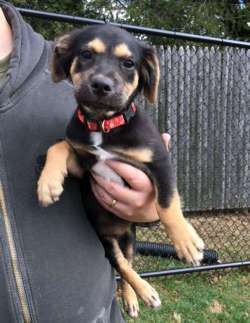 Sweetie is a Spaniel/Corgi mix (Cumberland?) who was treated for Heart worm and now tests negative. 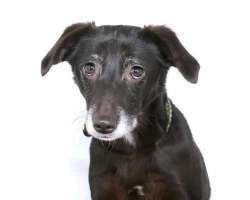 She is a quiet and very peaceful little dog who gets along with dogs and cats and has lived with 8 dogs at a time. She needs her own family now so a smaller dog family would be welcome even though she's very tolerant and easy-going with other animals. It just shows what a nice temperament she has. She weighs 36 lbs. She walks nicely on leash, never barks, is house trained, is submissive. 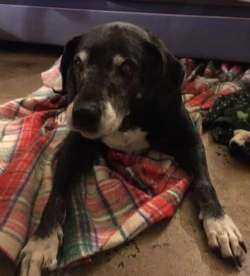 Her foster Mom feels she will fit comfortably into a home with an older couple that enjoys taking her for walks and rides in the car. She is good in a car and does not get car sick -- the more often she gets to go the more relaxed she gets. Sweetie is and probably will always be a bit on the reserved side. She does not run up to anyone for attention but does enjoys getting plenty of it. She does enjoy getting called to sit with her head on your lap and getting petted. It is certain the more interaction with her family she gets, the more outgoing she becomes. 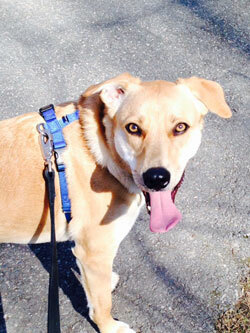 Sweetie is the most lovable dog and deserves a special doting forever home. She will be available on 3/8/16. She could use donations for her heart worm treatment. 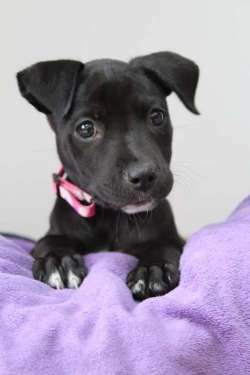 Vanessa is an 9 week old pup who flew up with a traveler who was visiting St. Croix. She is a little cutie pie who is paper trained and loves to go outside as well. She's already spayed. She's available as of 3/8/16. Puppy adopters need to be home during the day so the pup can be properly socialized and trained. A fenced in yard is required for adopters with children under 10 years old. 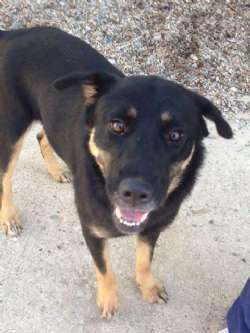 Zoey is a 1 year old spayed Shepherd mix and weighs 25-30 lbs. She's playful and very sweet dog. Zoey greets everyone she meets with a wag and a smile. She has a lot of fun in our yards and has good energy for an active family! If you are interested in meeting Zoey please fill out our online adoption application to help expedite the process.